Sportstop has long been recognized as the area leader in providing athletic teams with quality name-brand products combined with the best service. We specialize in supplying athletic equipment and uniforms to schools, leagues and recreational programs. Our team sales representatives cover the entire state of Arkansas. They strive to maintain close relationships with coaches and school administrators to ensure that your team is delivered the right product, on time and within your budget. Our unique association with the national Sports, Inc. buying organization enables us to obtain the best products at the industry's lowest prices. These cost savings are then passed along to our customers. We have recently been named one of the top Nike team dealers in the U.S. This partnership with Nike allows us to offer the same footwear, apparel and uniforms that are seen on most major college programs. 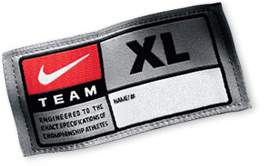 Click on the Nike Team logo to see catalogs and to design your team's next uniform. Build your custom uniform by clicking on the Nike logo. Build your custom uniform by clicking on the Adidas logo. Build your custom uniform by clicking on the Alleson logo.